We're so excited to get you into SeqGeq, we offer 60 days free through FlowJo Portal. There's no obligation, and you can sign up for a free demonstration from one of our experts to get you going. Want to try SeqGeq but don't have your dataset on hand? No problem! Just download SeqGeq and use the dataset included in Demo Mode. 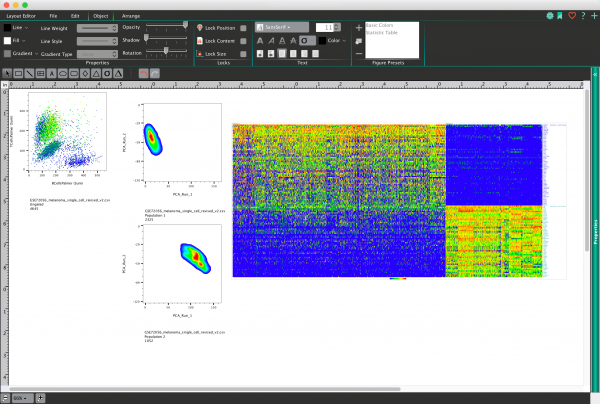 You'll still be able to explore all the features and decide if SeqGeq is right for your lab. Click the "Create Account" link to create a free account. Click the "SeqGeq Free Trial" button, and fill out and submit the form. On the Account page, click the "Download SeqGeq" button. Download, install, and run SeqGeq on your computer. Sign in with your FlowJo Portal ID.